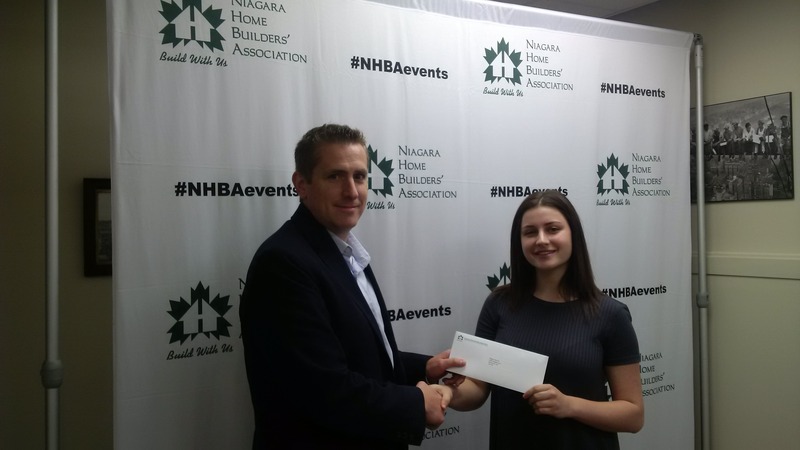 The Niagara Home Builders’ Association is pleased to announce the winners of the 2017 Scholarship Program. The Scholarship Program was established in recognition of the importance of post-secondary education. 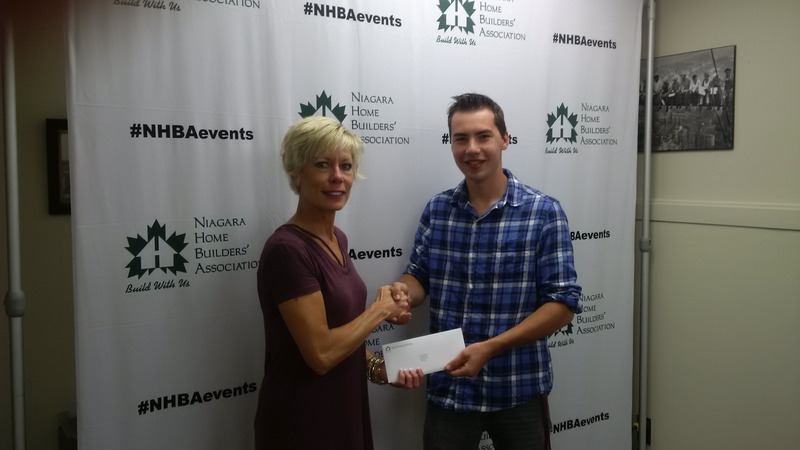 Scholarships are awarded to sons, daughters or legal wards of owners, partners and employees of Niagara Home Builder’s Association members. David Vanderlee…sponsored by Lucchetta Homes. David is entering his third year in the Construction EngineeringTechnology program at Niagara College. Involved at the College, David has volunteered at the annual Open House to speak with future construction workers, and is also a Teaching Assistant and Peer tutor. 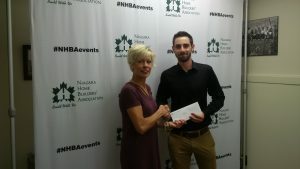 Curtis Hoekstra…sponsored by Lucchetta Homes. Curtis is entering his third year in the Architectural Technology program at Mo hawk College and currently working in the co-op segment of the program. Curtis is a Student Leader for Solid Rock campus ministry at Mohawk. 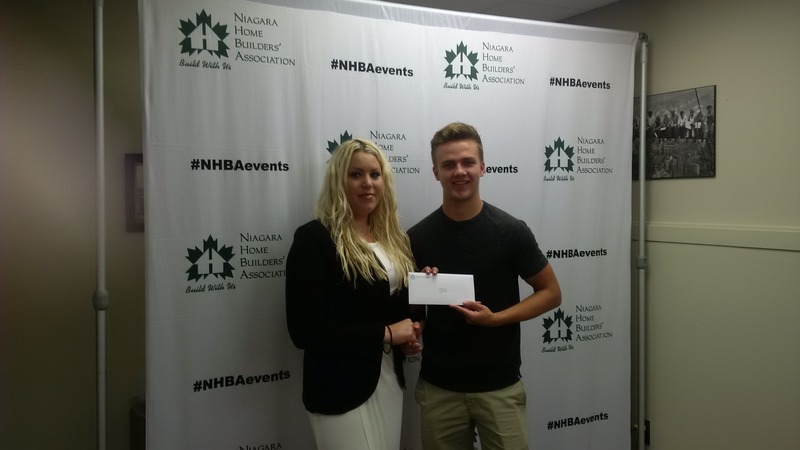 Domenic Alfieri…sponsored by Windrush Hill Construction. Domenic graduated Denis Morris Catholic Secondary School with Principal’s Honour Roll status; participated in the annual Pilgrimage and Starvathon Fundraisers and on the “Mathletes Team”. An avid cyclist, Domenic participated in the 2-day Ride to Conquer Cancer from Toronto to Niagara Falls for Princess Margaret Hospital. Domenic will be attending Brock University in the Business Administration Co-op program. Megan Therrien…sponsored by Metroland Media. Megan graduated Blessed Trinity Catholic Secondary School with Ontario Scholar status; took a leadership role as Student Trip Organizer, Link Crew Leader, Co-president of the ECO Club and participated in the applied Suicide Intervention Skills Training. Megan will be studying Criminology and Criminal Justice at Carlton University. Noah Hendriks…sponsored by Mountainview Homes. Noah graduated Denis Morris Catholic Secondary School with Principal’s Honour Roll status; participated in the annual Pilgrimage & Starvathon Fundraisers and on the volleyball and tennis teams. 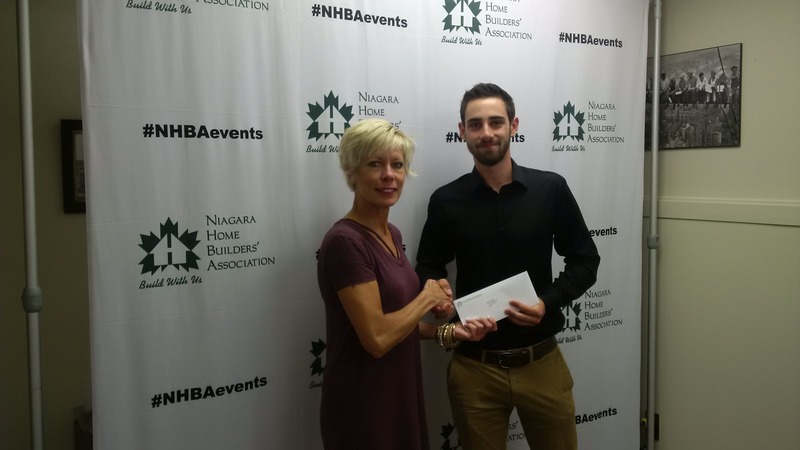 He has volunteered for the Out of the Cold Niagara program helping those in need of shelter and food during winter months. Noah will be attending Western University in the Ivey Honors Business Administration program. The Residential Construction Industry is Essential to the Economic Foundations, Job Creation and Long-term Prosperity of the Niagara Region. 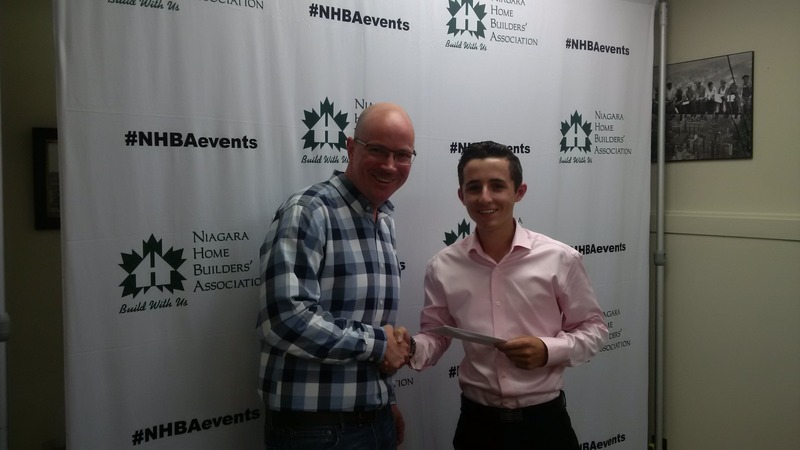 New housing and renovation is a significant employer in Niagara and includes a broad range of high quality jobs for skilled trades and related professions.